The women drivers will be fluent in multiple languages, familiar with the locality and trained in self-defense tactics. The Kempegowda International Airport in Bengaluru has started taxi services driven by women, for women passengers. Aimed at strengthening safety and security for women passengers, the Karnataka State Tourism Development Corporation (KSTDC) and Bangalore International Airport Limited (BIAL) on Monday jointly launched the women-only taxi service. “The women drivers will be fluent in multiple languages, well-versed with local areas and trained in self-defence tactics. Equipped with several safety features, including GPRS tracking and an SOS switch, the concept reinforces the attention to issues related to women travellers by both KSTDC and BIAL,” stated a press release issued by the airport. The initiative has been inaugurated on a trial basis and will start with 10 cars and will be increased according to the demand and feedback from passengers. The statement also added that the prices would range from Rs 21.50/km during the day (6 am to 11.59 pm) to Rs 23.50/km at night (12 am to 6 am). The service will be functional 24x7. 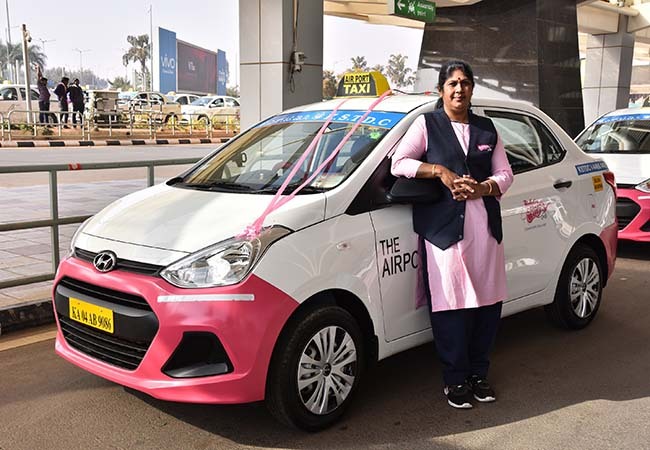 The women-run taxi service was started by the Karnataka State Tourism Development Corp (KSTDC) and the airport operating authority Bangalore International Airport Ltd (BIAL). Taxis will be equipped with safety features, such as a GPRS tracking system and an SOS switch in case of an emergency. Solo female travellers or a group of women can avail the taxi services. 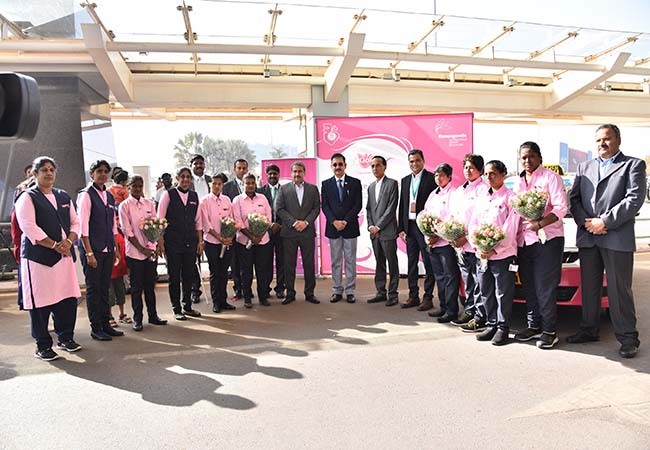 “The service has been implemented with an objective to provide a safe and secure mode of transport for women travellers from the airport, while also creating opportunities for women drivers to be self-employed,” KSTDC Managing Director Kumar Pushkar said in a statement. “The initiative is an effort to contribute to the socio-economic development of women from villages around the airport by recruiting women drivers from the vicinity,” BIAL said.